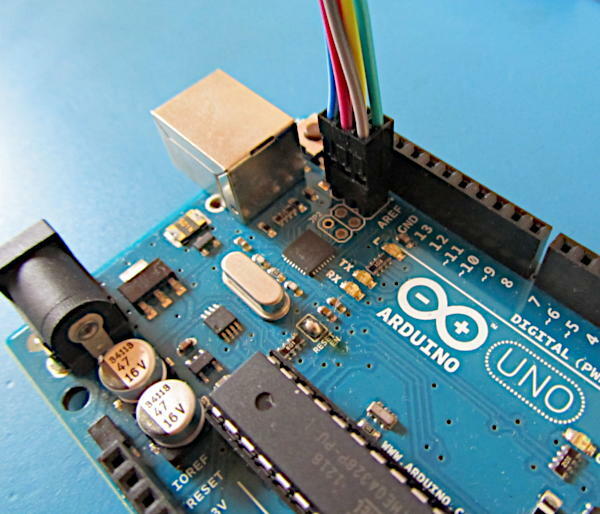 Extra images and screen captures for the Arduino Uno Hardware Manual can be found here. Click a link below to jump to the desired section on the page. 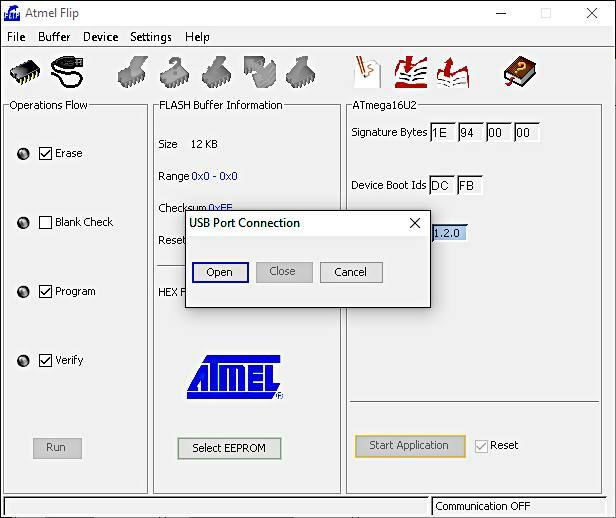 FLIP software for updating the USB to serial bridge firmware using the DFU method from section 5.1 Updating the USB to Serial Firmware using DFU. 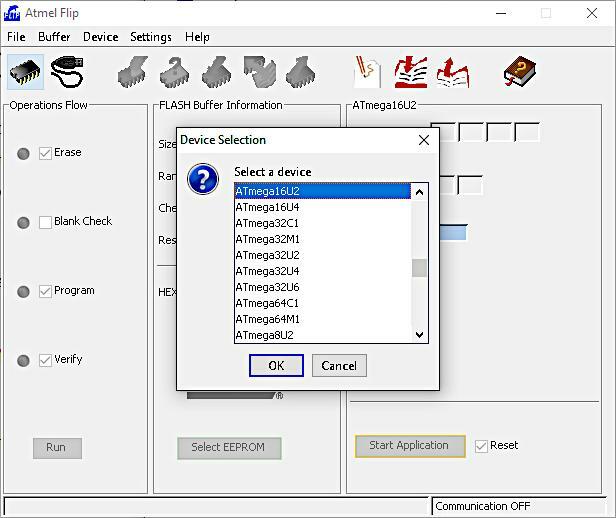 Select the device to program in the FLIP software. Open the USB port of the target device in the FLIP software. Click the Open button in the dialog box to continue. 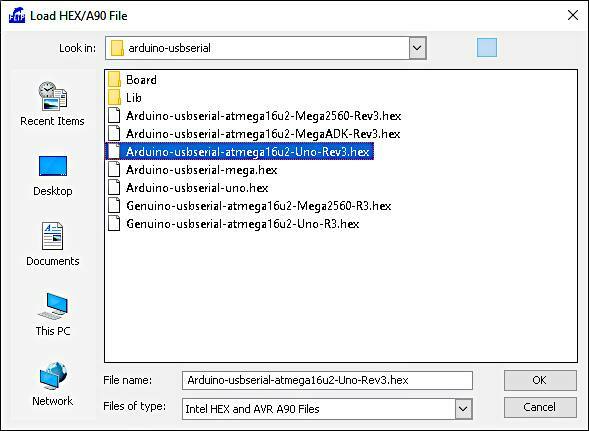 Load the HEX file for the ATmega16U2 in the FLIP application software. 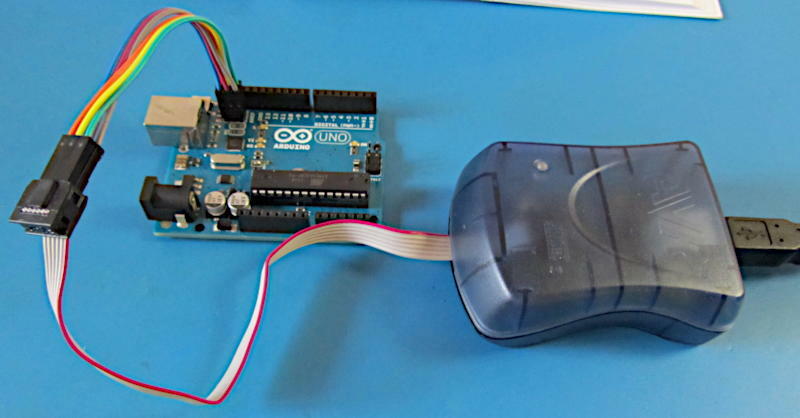 Click the Run button to erase, program and verify the Flash memory of the ATmega16U2. The FLIP software application as it appears after successfully programming the target device. 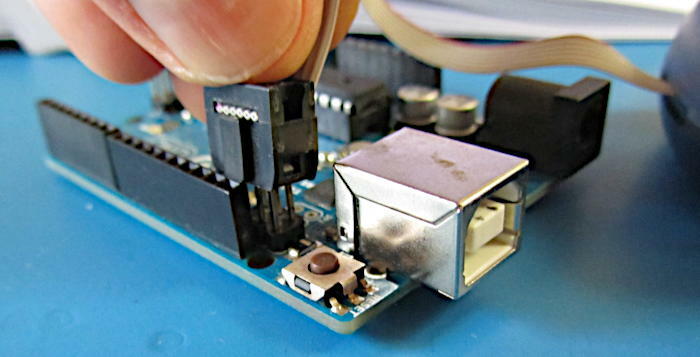 The procedure for connecting the ISP plug of a USB programmer into the ICSP header for the ATmega16U2 on an Arduino Uno follows. 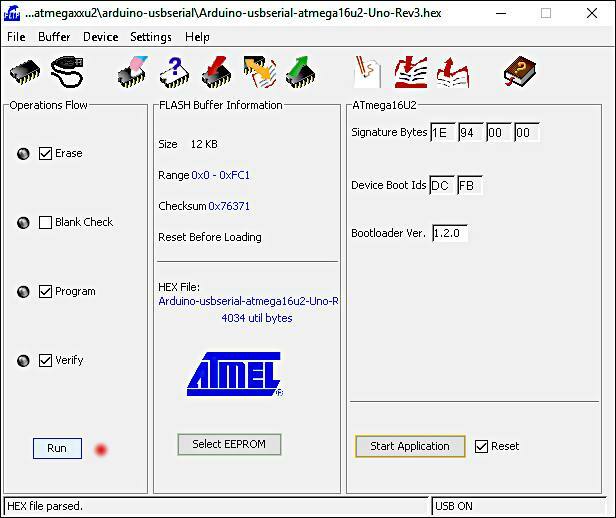 This is described in section 5.3.1 Backing up the ATmega16U2 Firmware with Atmel Studio of the Arduino Uno Hardware Manual. As can be seen in the image below, the key on the ISP connector of the programmer prevents it from being plugged into the ICSP header for the ATmega16U2 on an Arduino Uno. Six wires that have a single pin male connector on one end and single pin female connector on the other end can be used to connect the ISP plug to the Arduino Uno ATmega16U2 ICSP header. The wires can be seen in the image below. Plug the wires, three at a time, into the ISP Plug as the image below shows. Now plug the extension wires from the ISP plug to the ICSP header. The next image shows the extension wires connecting from the ISP plug of the USB programmer to the ICSP header for the ATmega16U2 on an Arduino Uno. A close-up of the connection can be seen in the following image.